This week in the garden has been all about the flowering of the Brugmansia. Grown from a pencil thin cutting in a pot and neglected on and off over three years of changing houses and living in rental places, it never sulked or worse, gave it up and died. Once in the ground at this house it proved that flowers will always find a way. Every three months it blooms like mad for about two weeks. Then it goes quiet and lets nature work under the surface. I wish we had evolved to perform as silently. Carbon, oxygen, nitrogen, trace elements and of course the sun – all work away, not once needing applause or validation. And then, when their part is done, you are rewarded with this! Cuttings have been taken and rooted in a glass of water on the window sill. Two of those clones now grow in other parts of the garden. In another year they should be giving their parent a bit of competition! Camouflage in the garden, Garden lessons, Gardening in Adelaide, Is it animal, vegetable or mineral, Nature, Not a plant! When a little lizard comes asking, are you my Mummy? This little blue tongued lizard took a walk on the tame side and ended up under my bed and then a little further into the walk in closet. Who are you gonna call? Not the RSPCA, they don’t do healthy animals. Not Fauna Rescue, they help everything from microbats to possums but no mention of reptiles. So you call your student who owns Reptile City, find he is unavailable and then you arm yourself with bacon, grapes and a spatula. The grapes are for it, just in case it was a vegetarian. The spatula was for courage. Eventually patience paid off. Little Bluey is united with the great outdoors and I can finally take a break. I will add lizard whisperer to my resume later on. It’s a wasp! It’s a blister beetle! No, it is a histrionic bug. Murgantia histrionica or the harlequin bug. It frequently makes ‘murga’ s or chickens of gardeners who think of it as one of the good guys. It is not! It will eat through a vegetable patch in a matter of days given the chance, and the only one having hysterics will be the gardener as she watches tormented tomatoes, exhausted eggplants and ravished radishes. But the bug did not get its name from that. The second part of its name comes from its histrionic success at mimicking the classic warning colours of red and black. What my college texts called Batesian mimicry, after the bookish Brit who bantered with butterflies in Venezuela(how I wish it had been Bolivia). But that is another story. Curl up and die? By gibberelin, no! 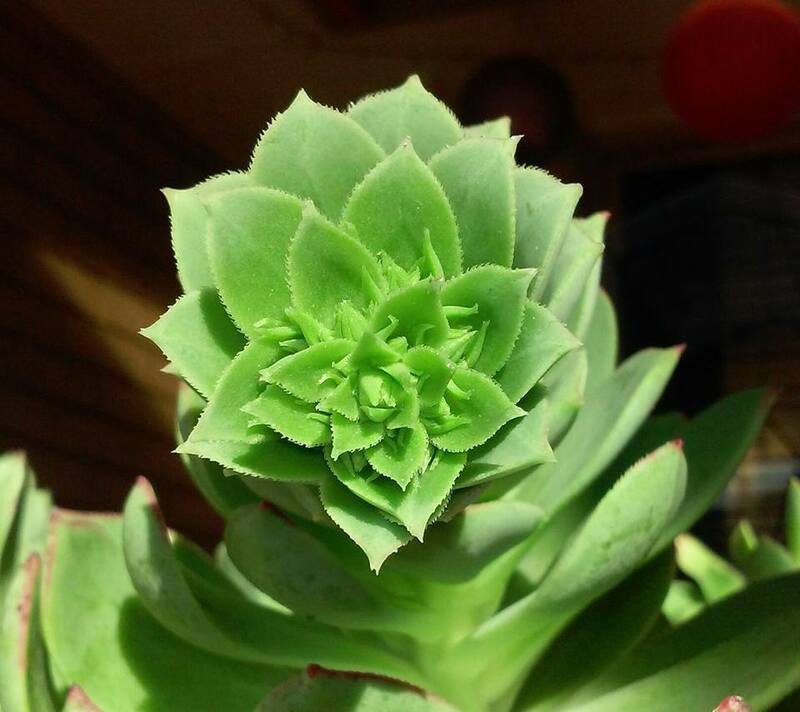 This plant should not look this happy, not at all! I separated it from its parent plant, a clump which was undisturbed for nearly four years. The place was like a wall of green fractals, even the hose had a hard time wetting the soil underneath. Then for two weeks, this stayed in a bucket crowded together with others, no water, no soil – waiting for something to happen. While I, the one who was meant to make things happen got busy potting up exotic things like dragon fruit and tree dahlias. A week into the wait, this plant got a message from one of the many hormones still at work inside it that perhaps this was it. Perhaps, there was no watering in its future, no putting down roots and building another wall of fractals. Perhaps it was curtains. So what has this plant been doing for the last week? Not getting ready for cell death and system shutdown. Not by a long shot, no. It has been having its last hurrah, a party to celebrate life! It has been covering itself in literally tens of these flowering tips. If I hadn’t noticed they would have gone on to flower, perhaps even set seed thanks to the efficiency of passing bees and ants, even the breeze. And then, and only then would it finally call it a day. But only then, after exhausting all resources in building a future. Not in withering away and dying without putting up a fight first. There may be a lesson in this for us all; there certainly is one for me. I am not a ‘raise plants from seeds with infinite care’ person usually. My seeds need to grow when scattered gaily under the shadow of monster succculents or forests of silver beet. They may be tiny but they have to hold their own against the hairy caterpillar brigade, the slimy slug regiment and even the blackbirds who have a thing against neatness in the mulch. To be quite honest, that is probably why the seeds mostly do well too, sort of if you can make it under tough love, you can make it anywhere type reasoning. But this does not mean that I do not give in to the seduction of seeds from catalogues or the lure of seed trays at the hardware store. I long to grow Japanese maples from seed for example, seeds that are so tough that they need to be rubbed with fine sand paper to wear down the seed coat before they go into the fridge for three months. Yes, you read that right; three months. 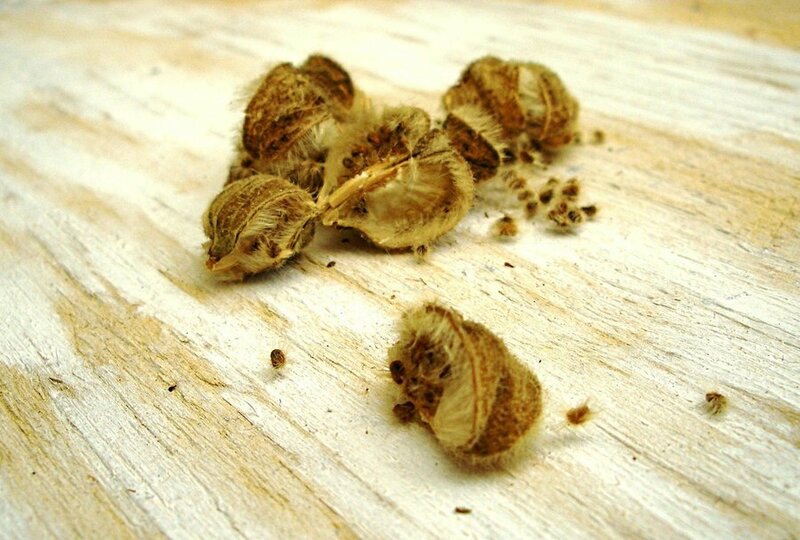 All so that the stupid or is it overly clever, maple seeds can think that they are back home in Japan lying in frozen ground for three months. Then and only then, will they condescend to germinate. After that it is a wait of a year to see the slender twig grow infinitesimally slowly and put out one jewel toned leaf after the other. Then you can truly say that you have grown Japanese maple from seed. But mine are still sitting in the fridge. We may have missed the deadline for when they should have gone in. Consequently, I will probably not be able to plant them till late November here, which will not fool the sodding things into thinking they are still in Japan as Adelaide in late November is more sub-Sahara than Sakura. So I will talk of the success I have had with something completely different. For the last week I have had three stainless steel bowls, the type called a katori back home and used for delicacies like dal or a subtly spiced vegetable dish sitting by the sink. They contain seeds of Carissa or the South African plum, the Confederate Rose of the Deep South or the Sthal Padma and the great big seeds of the Bauhinia or Orchid tree, the one with the heart shaped leaves we call Kanchan in Bengal. They needed some special care but not too much. All three needed warm water to soften them up, the water varying from boiling in case of the Kanchan and warm for the other two. After soaking for more than the one day specified on the seed packets as I thought four days at ten degrees must mean the same as a day and a night at twenty degrees, today I notice that ten of the Confederate rose seeds have sprouted. Taa Daa! Baby photos to follow! In the meantime, here is one from the internet of the little hairy seeds that I sowed a week ago in a katori really meant for serving dal.